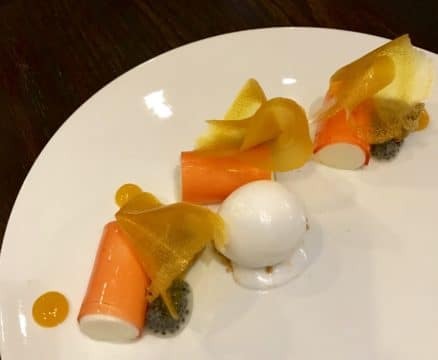 It was a sad day for dessert connoisseurs when pastry chef Michael Laiskonis left Le Bernardin, where he helped earn the restaurant its three Michelin stars, but today we can all celebrate because his desserts are finally back on a menu at Récolte Dessert Bar. 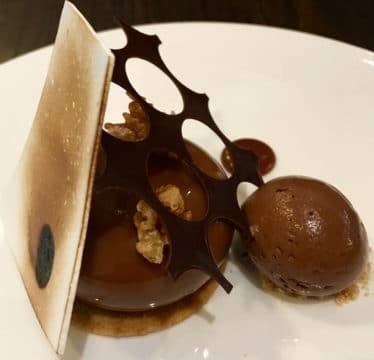 Since leaving Le Bernardin in 2012, Laiskonis has been occupying the very cool gig of Creative Director at the Institute of Culinary Education, where he’s developed an awesome chocolate lab, and got to spend more time with his family – one of the reasons he left restaurants. 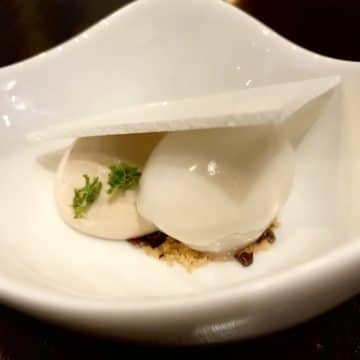 But, the kitchen and his passion for plated desserts beckoned, and now he’s returned to the line, and he’s again plating some of the most amazing creations you can experience anywhere. 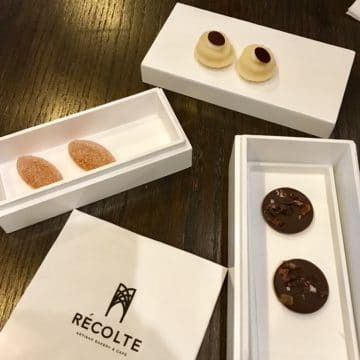 CulEpi’s Editor-in-Chief Regina Varolli and Contributing Editor Meryle Evans had the good fortune to sample Laiskonis’s new dessert tasting menu during Récolte Dessert Bar’s pre-opening family & friends preview this week. Too bad they couldn’t bring the whole CulEpi team with them, because we’re drooling over these pictures! 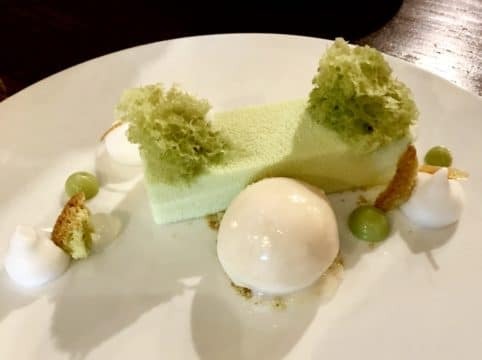 Over the years Michael Laiskonis has earned just about every honor a pastry chef can attain, including the James Beard Award for Outstanding Pastry Chef (2007), and the IACP Culinary Professional of the Year Award (2014). With this new venture, we won’t be surprised when he adds yet another new title to his roster of accolades. 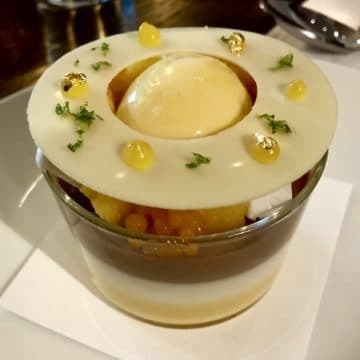 Our Editor-in-Chief has been following Laiskonis’s career for many years, and she’s indulged in his desserts at Le Bernardin as well as at industry events like the StarChefs International Chefs Congress and the Fancy Foods Show. 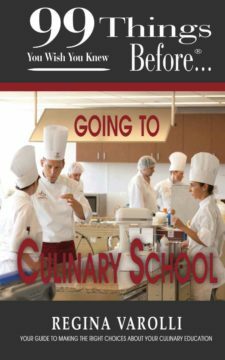 “I’ve traveled the globe as an industry journalist and had the good fortune to try desserts by hundreds of world-class pastry chefs, even to judge international pastry and dessert competitions in multiple countries, and to me, Michael Laiskonis is simply one of the world’s greatest,” said Varolli. Récolte Dessert Bar is located at 300 Amsterdam Avenue in New York City. It’s open for business starting Sunday, January 27th. Hours will be 7:30-11:00pm, Wednesday – Sunday. 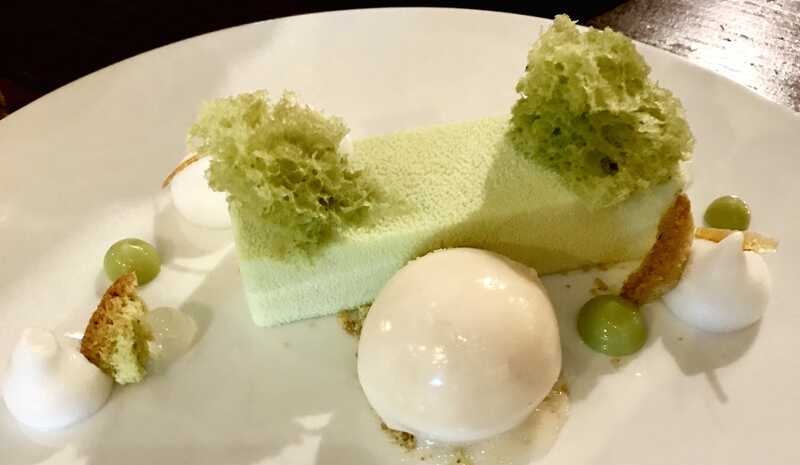 During the day hours, Récolte Bakery serves pastries and breads from award-winning master boulanger Peng-Chieh “Jay” Wang.